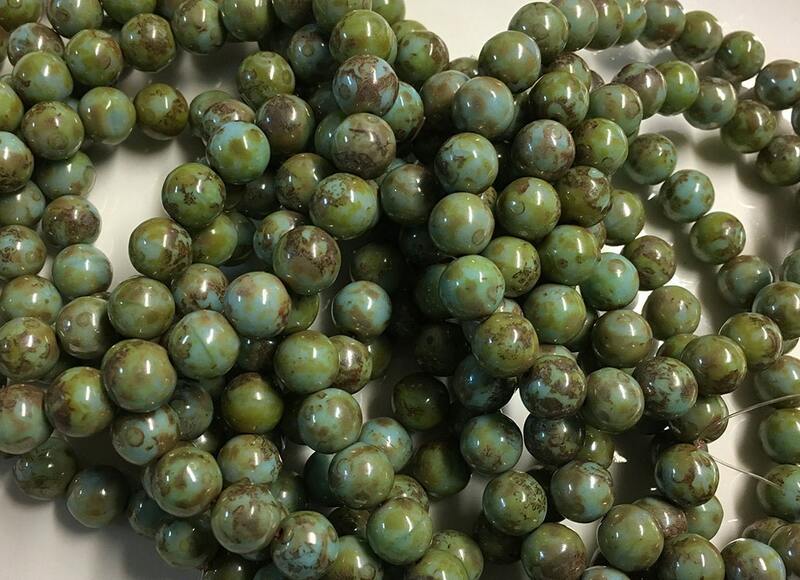 Green turquoise picasso Czech glass round Druk beads measuring 8mm! There are 25 beads per strand. Beautiful beads, they’re a great substitute for real turquoise. Really nice selection, if I’m ever in southern Illinois, I’ll definitely stop in the actual store!